Although we haven’t dressed like twins since childhood, we really wanted a matching pair of aprons to wear while crafting. 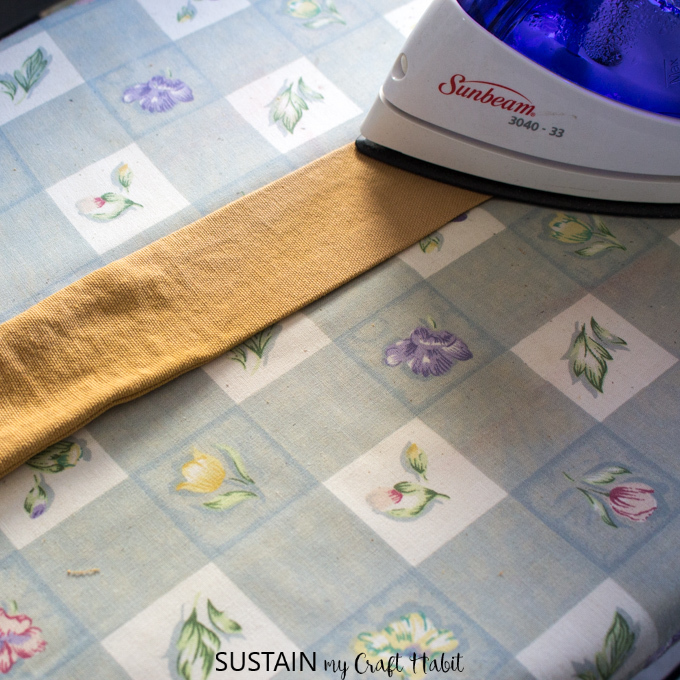 And now you as well, can match along with us by following this DIY apron pattern. We’ve once again partnered with Canvas Etc. 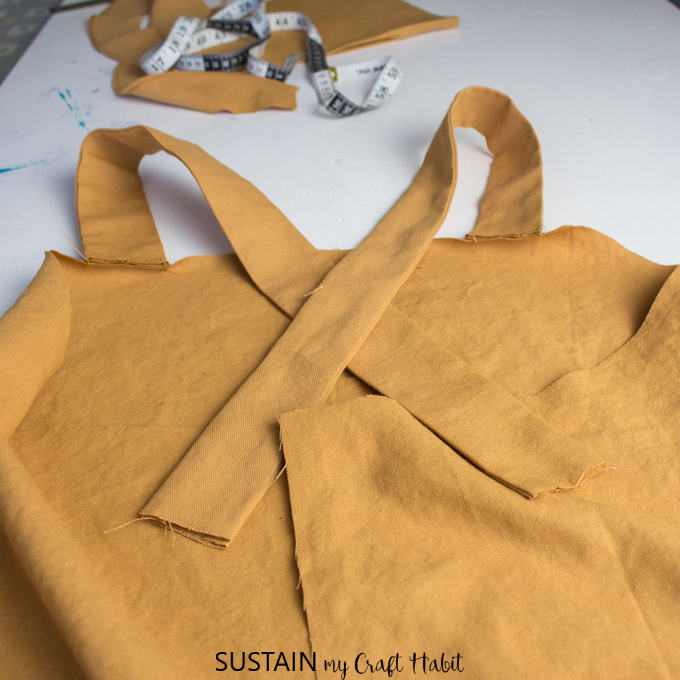 to create these utility aprons that we plan to wear in our workshop, studio and while gardening. 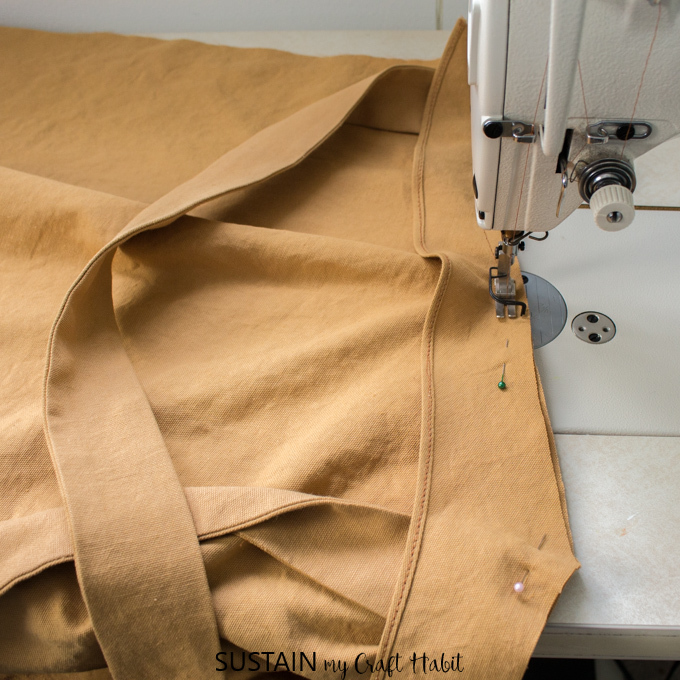 When we initially received the 100% cotton canvas fabric we thought it might too stiff and heavy for this project but after just one wash and dry, the fabric feels soft and the perfect weight for these aprons! 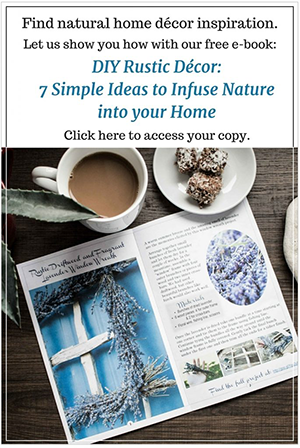 And since we couldn’t decide on just one color, we selected these two rich hues, a gorgeous mustard yellow and a soothing blue. 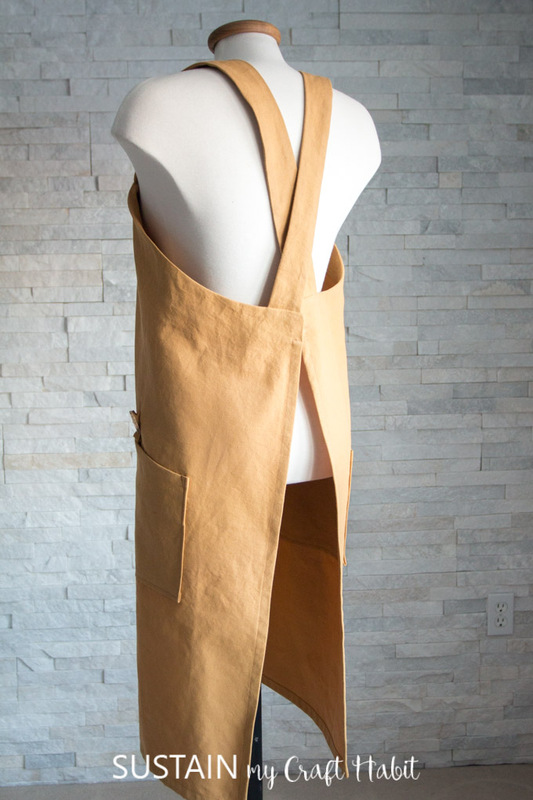 The apron comes in one size but because of the cross over straps, the fit accommodates all different body types. It wraps comfortably around the hips and falls longer in the length for extra coverage and has these deep angled pockets for holding tools and supplies. 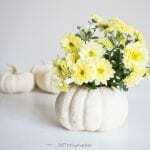 Remember to save your scrap fabric as you go: the small pieces can be used to make these canvas ornaments or this scrap fabric heart garland or even these scrap fabric pumpkin decor! 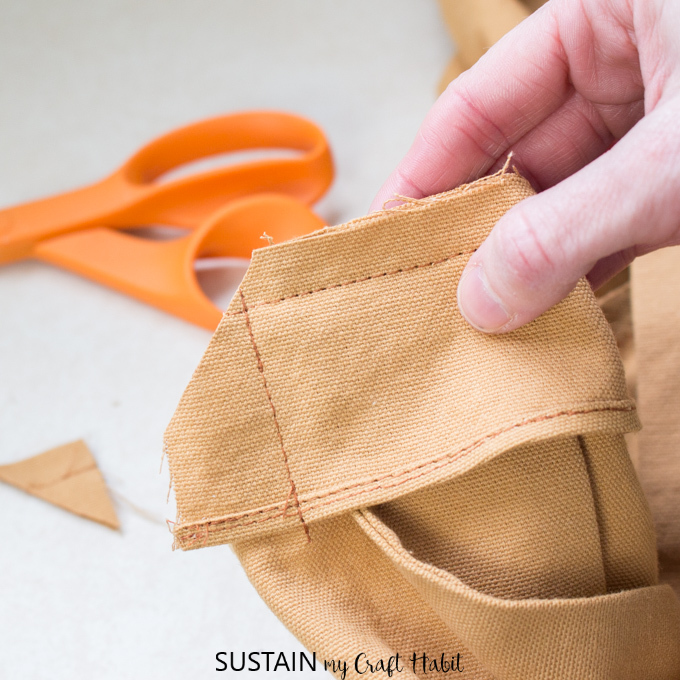 Keep reading for the full how-to instructions for making this beginner sewing apron. 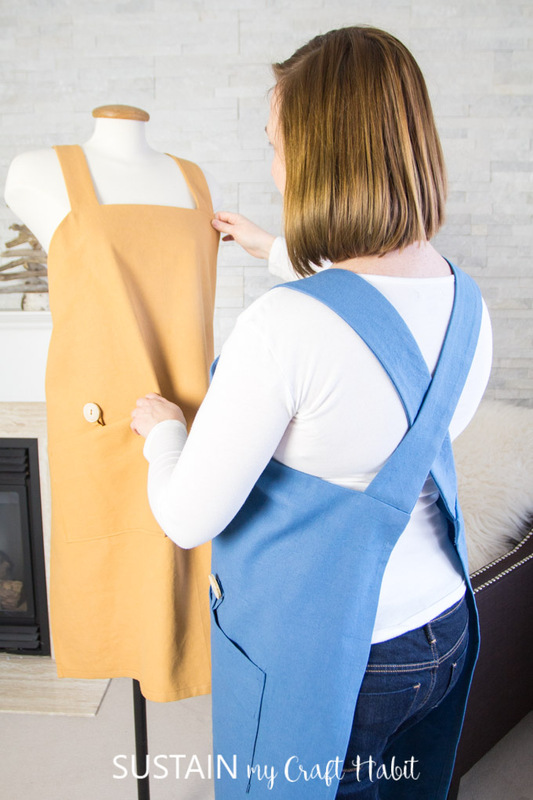 If you’re unclear on any of the sewing terms, you can refer back to this other free apron sewing pattern for clarity. 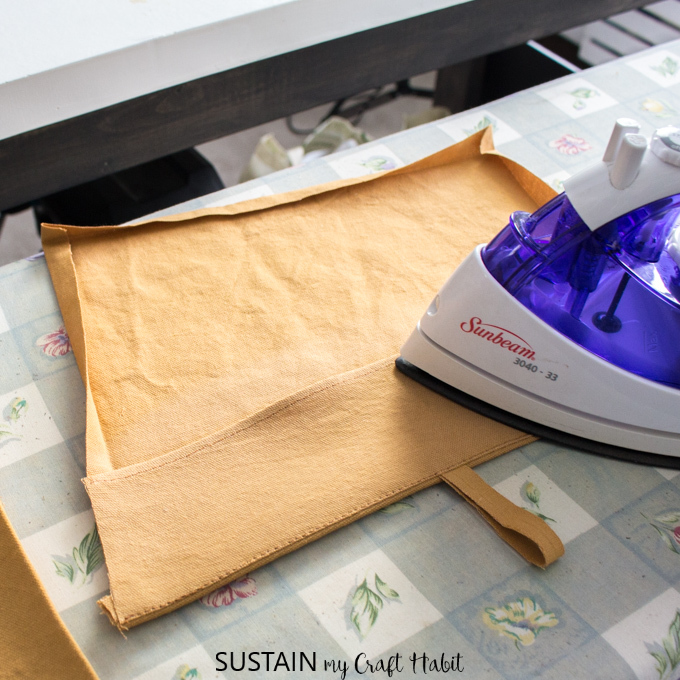 Pre-wash and dry the cotton canvas prior to cutting and sewing. 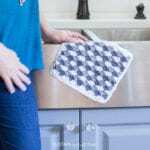 Remove it promptly from the dryer to minimize wrinkles and creases. 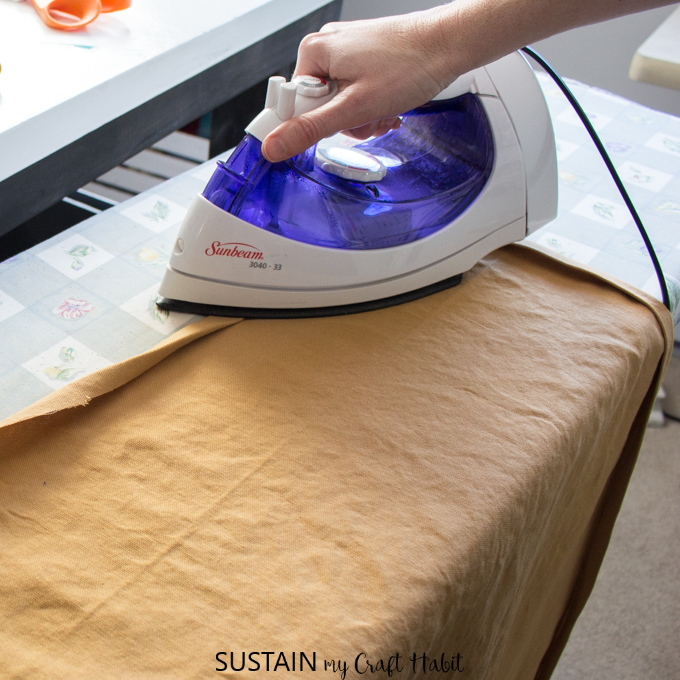 If you find it the fabric has too many wrinkles to lay out smoothly, than give it a quick iron before starting. 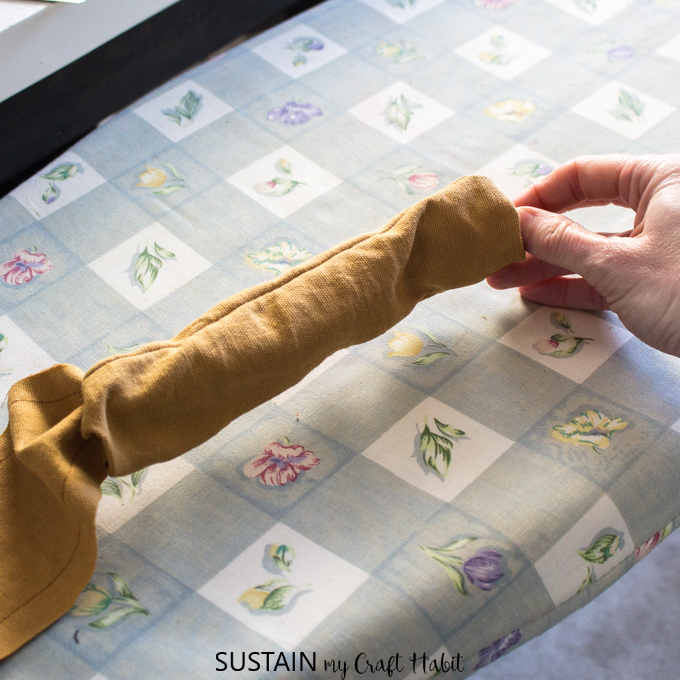 Fold fabric length in half with right sides together, matching selvedges and place on a smooth, flat surface. 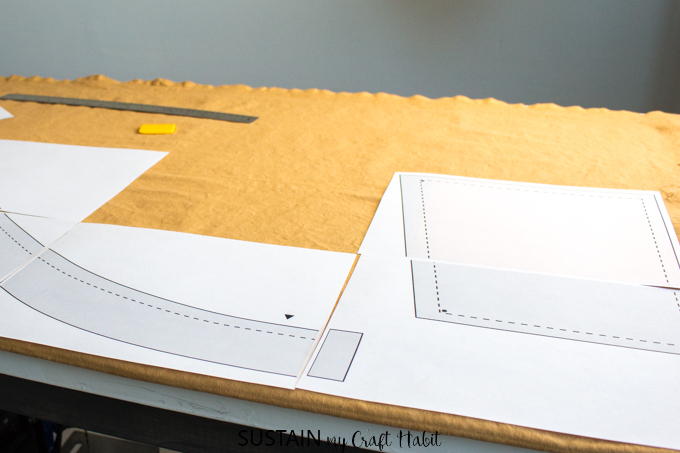 Using a straight ruler or measuring tape, measure and mark with removable chalk the apron pattern onto the fabric following the pattern dimension guide provided. 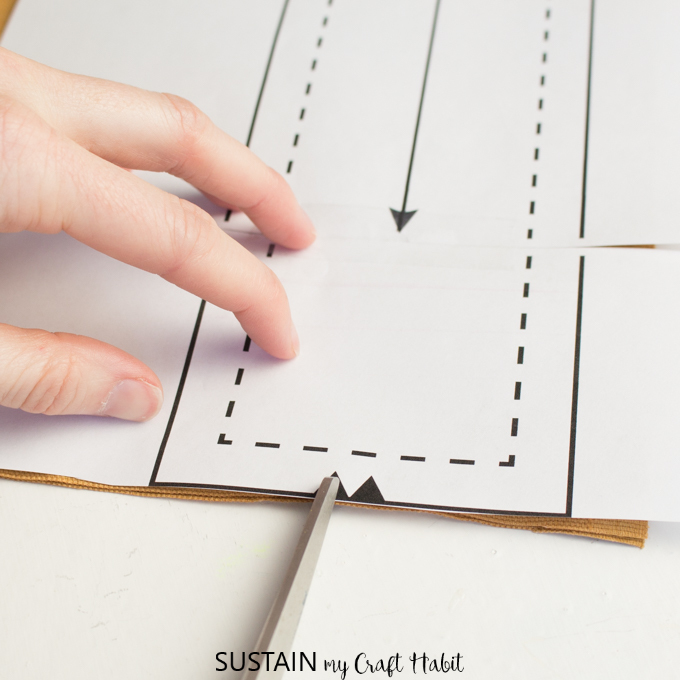 As always, take your time with this step to avoid any mistakes in cutting. 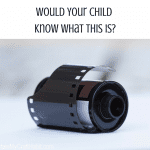 Alternatively you can print out the pattern onto 8.5″ x 11″ sheets of paper and tape together. 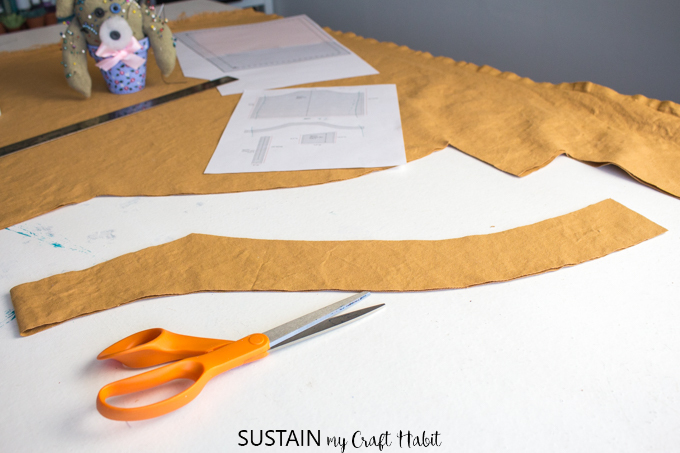 I saved myself printing the body pattern but I did print off the neck facing, shoulder straps, pocket and pocket facing pattern pieces. Since the neck facing pattern matches the shape of the body pattern along the neck edge, I also used the neck facing to help lay out the body pattern. 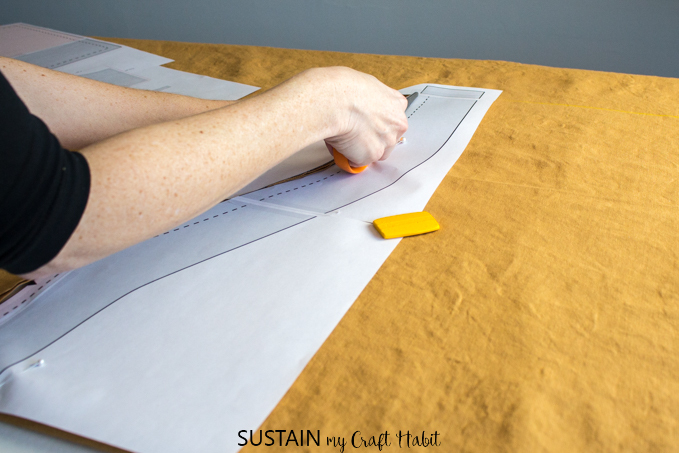 Cut along all the solid lines (the dash lines represent the sew lines). 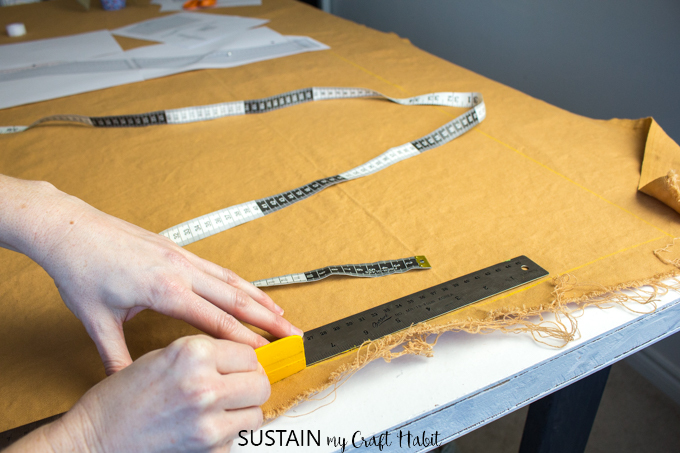 Be sure to mark the notches for the strap placement along the top edge of the body pattern. Single notches represent the front and double notches represent the back. Mark all dots (for pocket placement) on the pattern (pocket pattern AND body pattern) using a piece of washable chalk or wax. 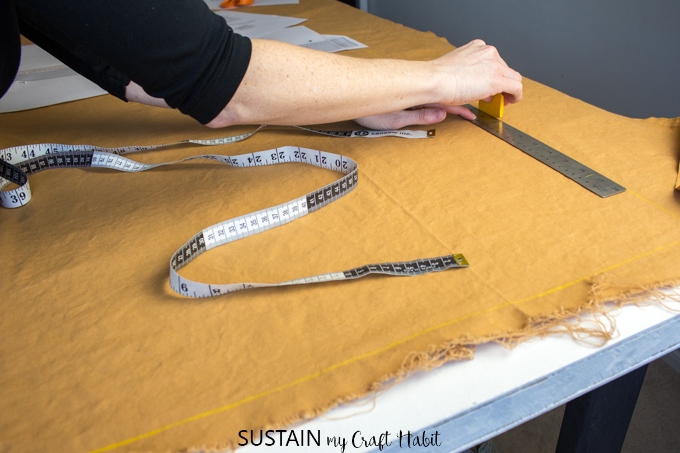 Poke the center of the dot with a pin, lift pattern up and mark on the fabric where the pin meets the fabric. 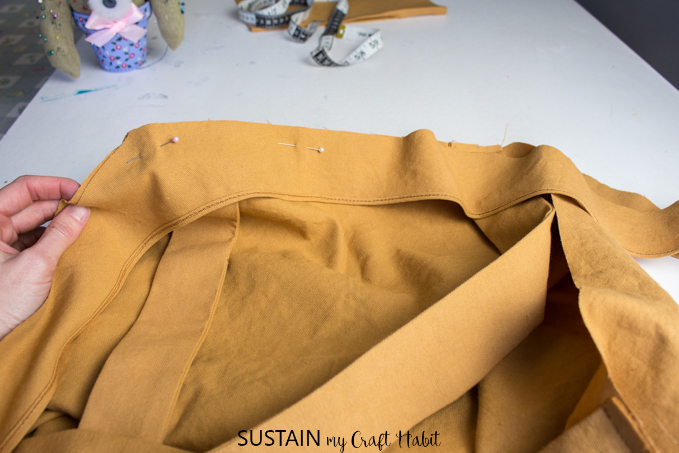 This step will help you position the pockets properly later on. 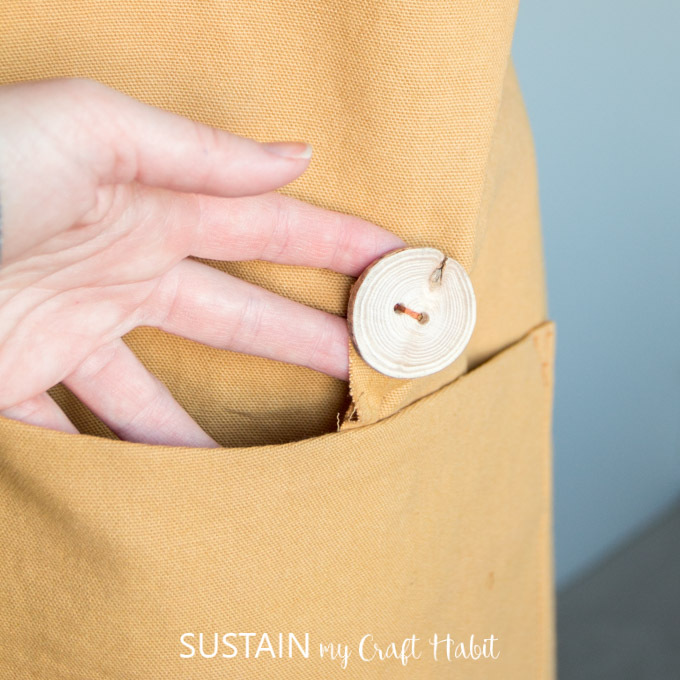 You can also add a decorative button to each pocket opening. 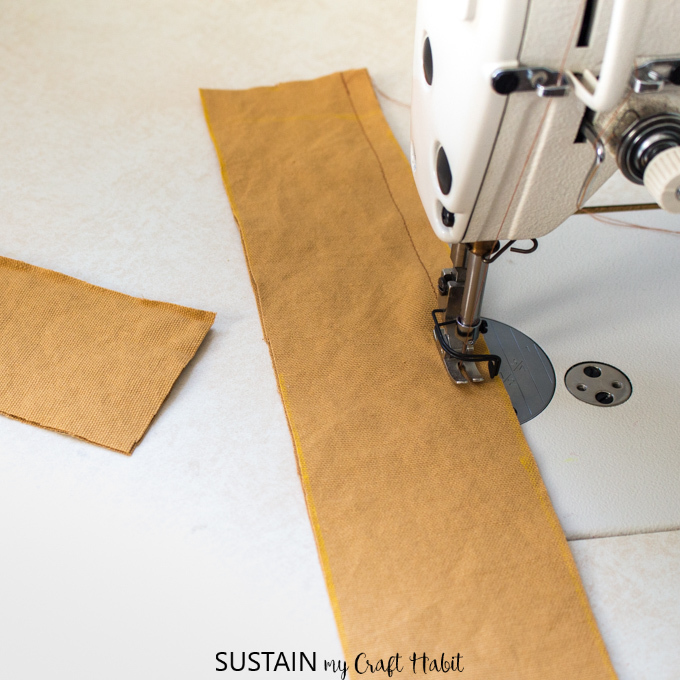 In order to do this, cut 2 narrow pieces out of the scrap selvedge edges at 6″ long each to use as button hole loops. 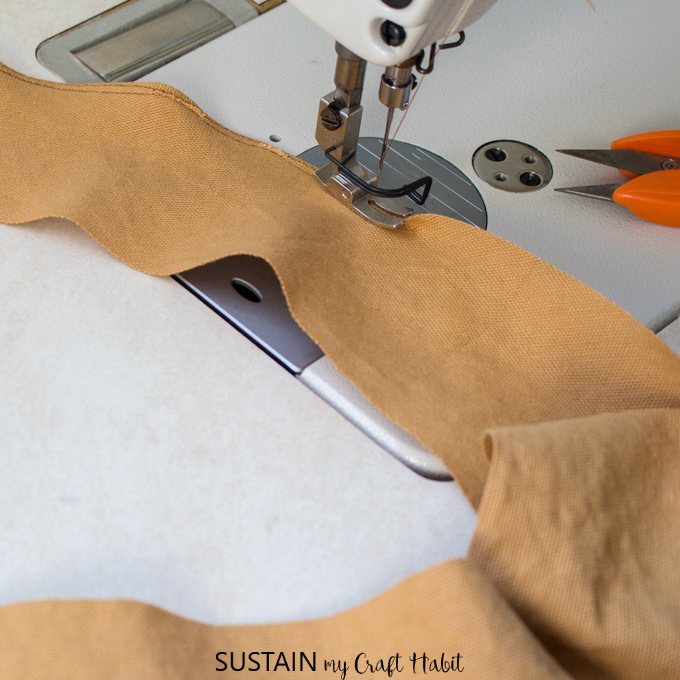 With right sides together, sew the two sides of each shoulder strap together lengthwise. 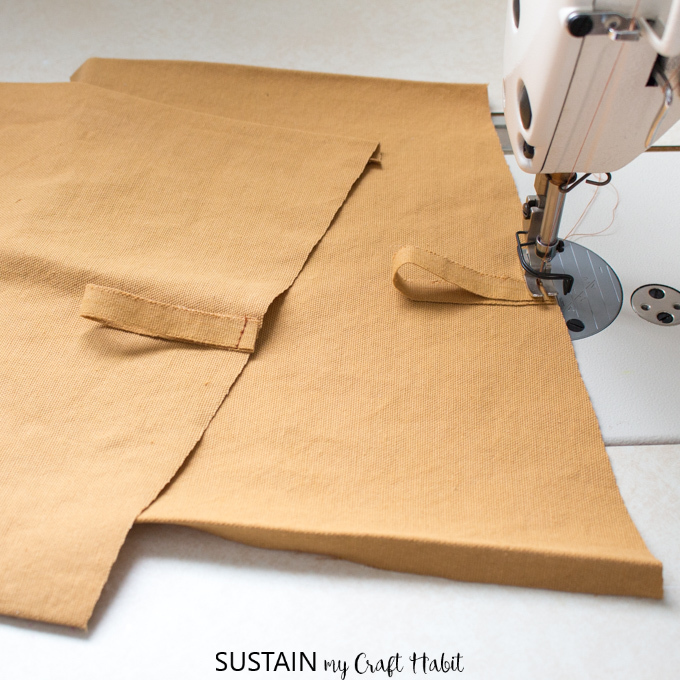 Turn stitched straps right side out and press seams flat. Put straps aside. 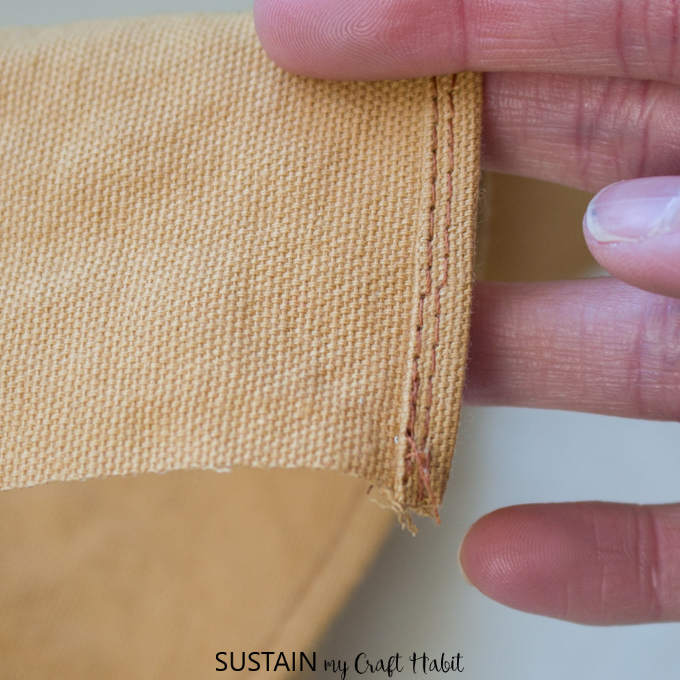 Do a narrow hem stitch along the lower edge of the neck facing piece to clean finish and prevent fraying edges. Put facing aside. 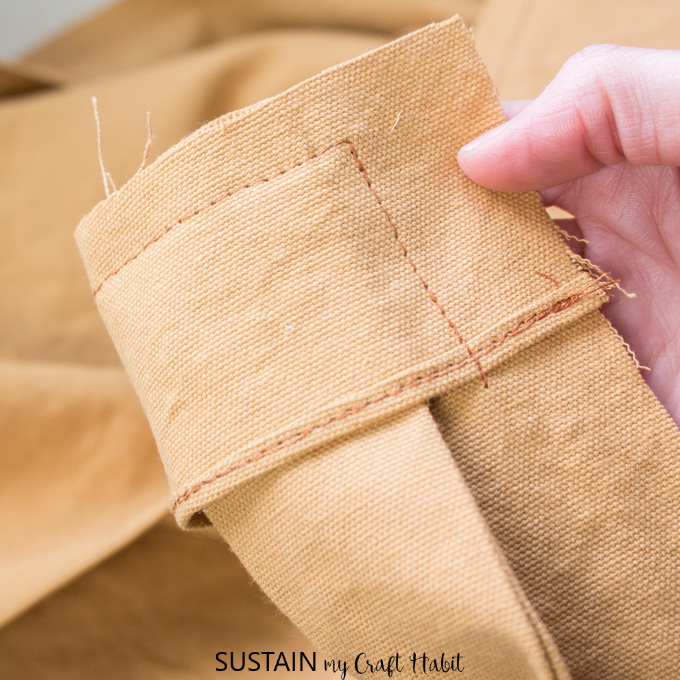 Fold the selvedge strips in half to form a 3” loop and align the cut edges with the center of the pocket edge. Baste stitch in place. 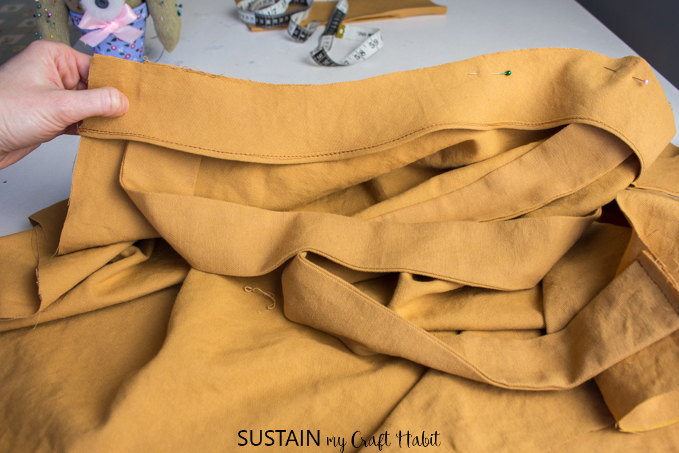 Align the pocket facing with the top edge of the pocket and sew together. Understitch the seam. 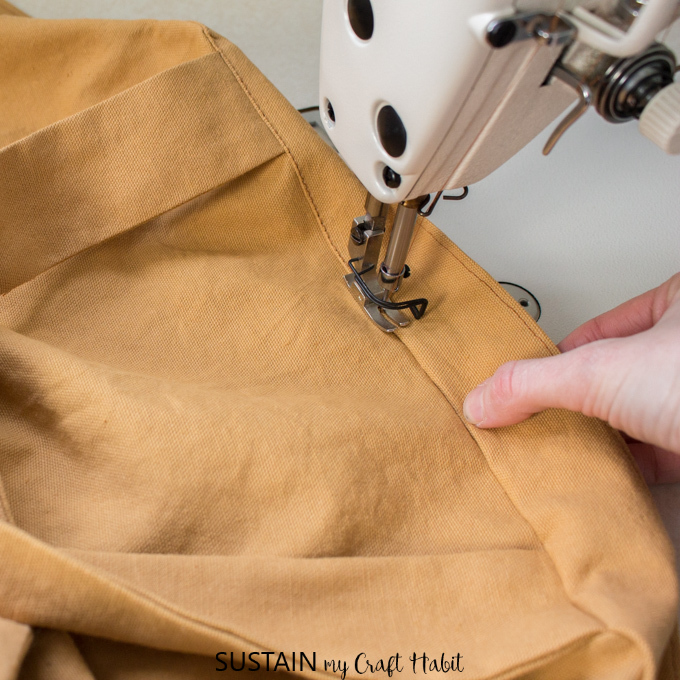 Clean finish the pocket facing edge with a narrow double turn hem. Sew pocket facing to pocket along top edge. 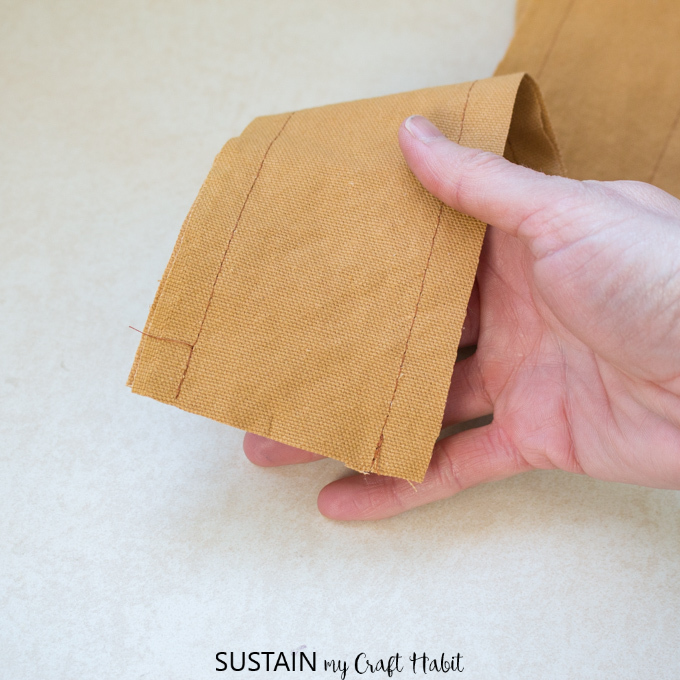 Finish the pocket facing edge with a narrow hem stitch. 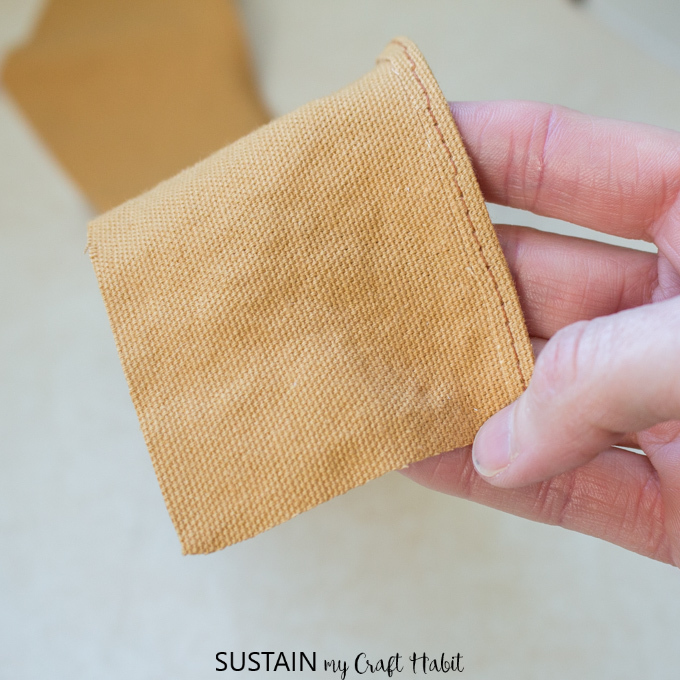 Fold in the facing along the seam and iron all other edges of the pocket in by ½”. 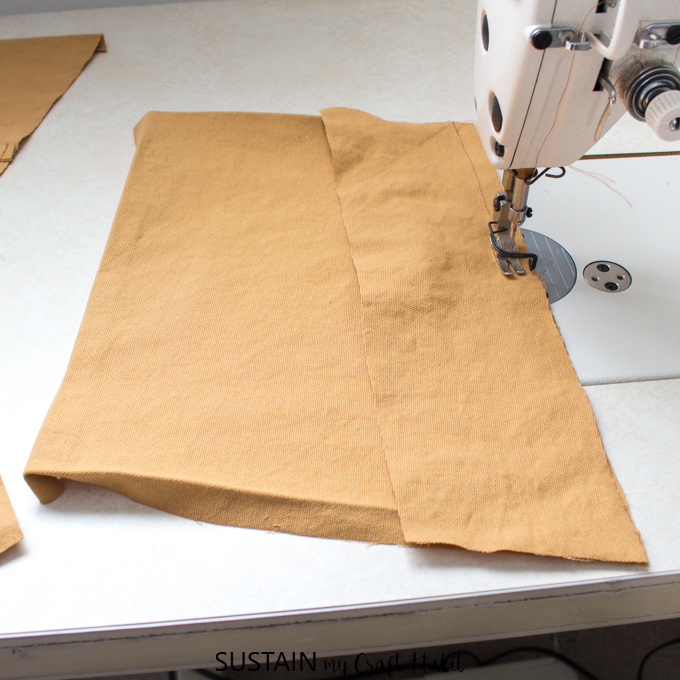 Position the pocket onto the body of the apron, with small dots aligned. Edgestitch pocket in place along all 3 sides of the pocket. 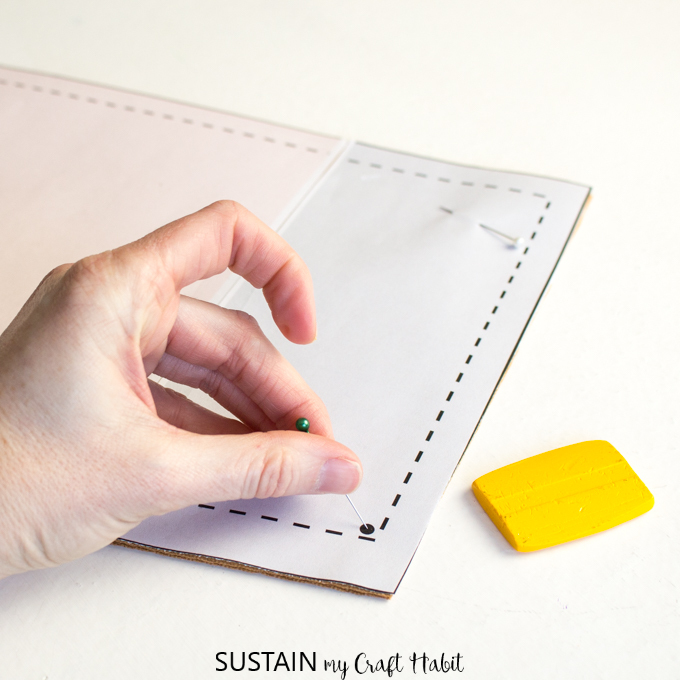 For added reinforcement, add a triangle stitch to both corners of the pocket opening. 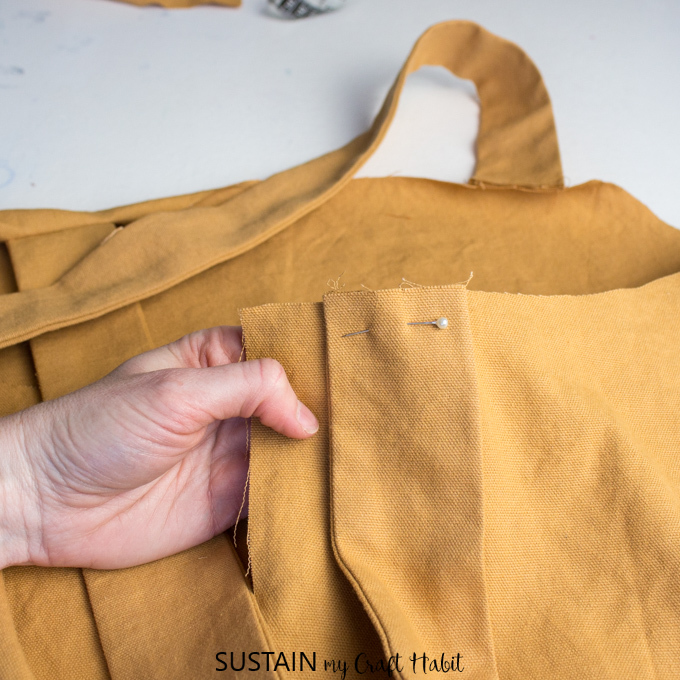 Align the shoulder straps to the right side of the apron body matching single notches at the front and double notches at the back. Be sure to criss-cross the straps at the back! Baste stitch straps in place. Criss-cross the shoulder straps at the back of the apron. Pin the shoulder straps in place. 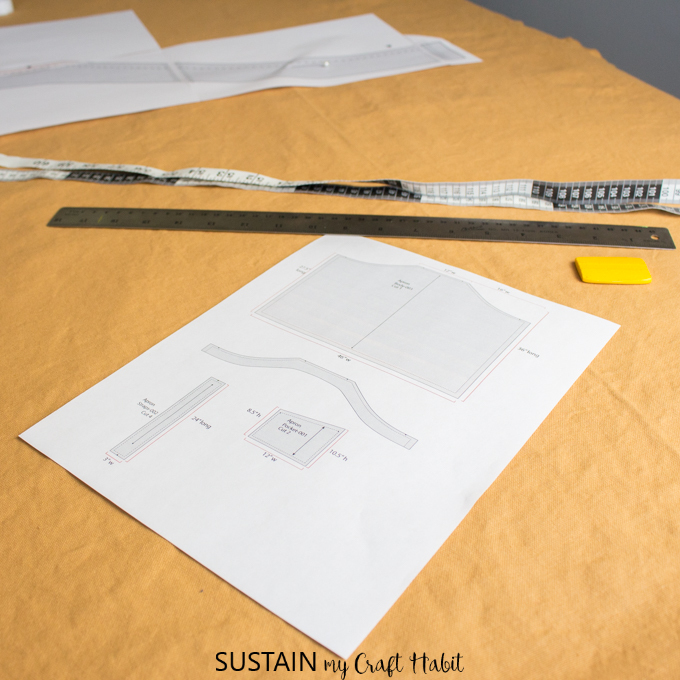 With right sides together, align the top edge of the body pattern and neck facing as shown. 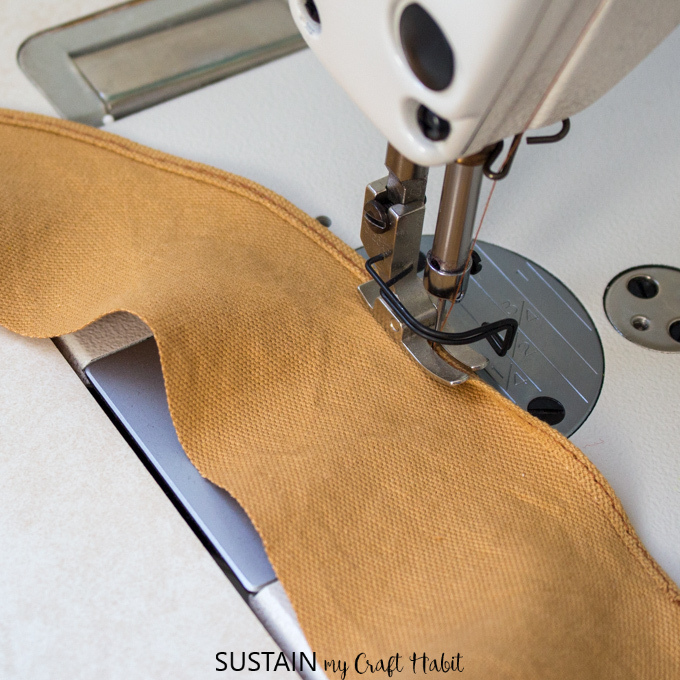 Stitch together with a ½” seam allowance. Finish with an under-stitch. 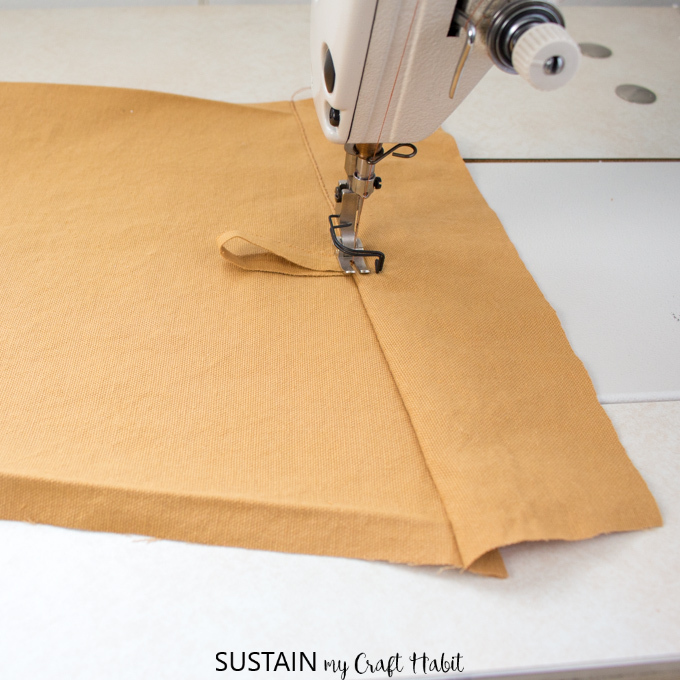 Sew the ends of the facing to the body with a 1” seam allowance. 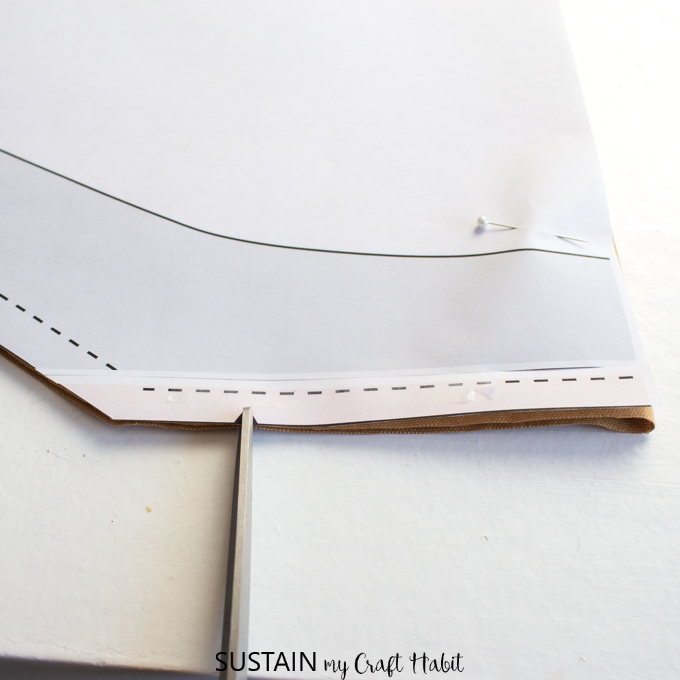 Clip the seam allowance at the corners to reduce bulkiness. 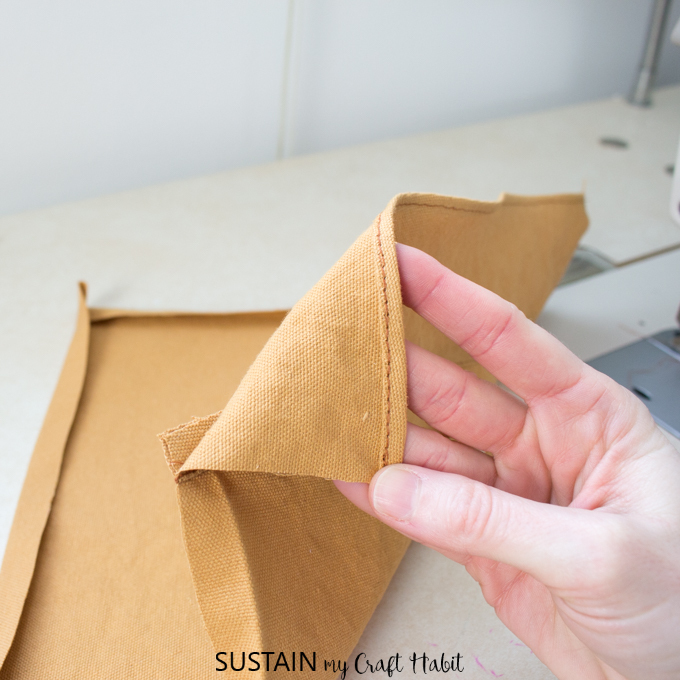 Turn facing over and press seam flat. 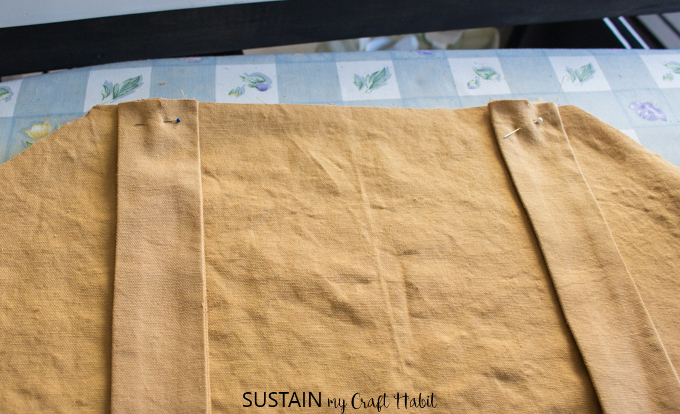 Finish the sides and bottom hem of the apron with a ½” double turned hem. 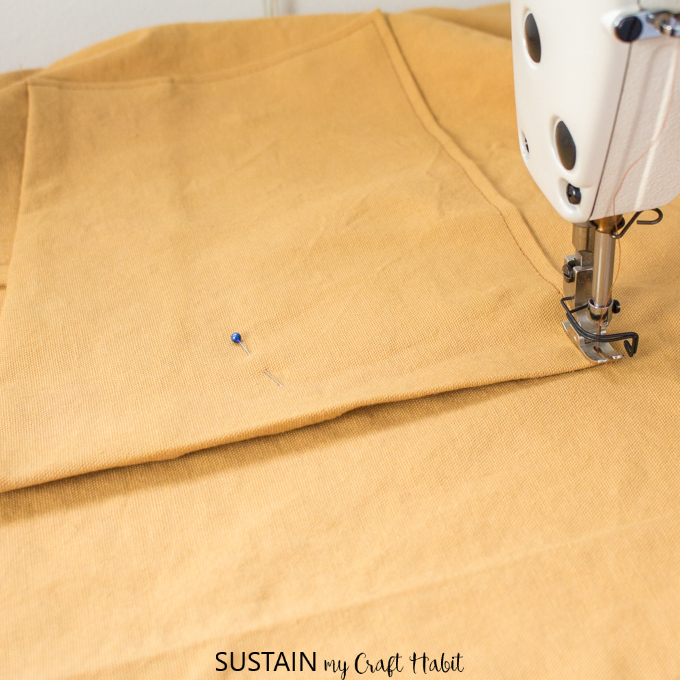 Using a sewing needle and matching thread, attach the button to the apron above the pocket loop. 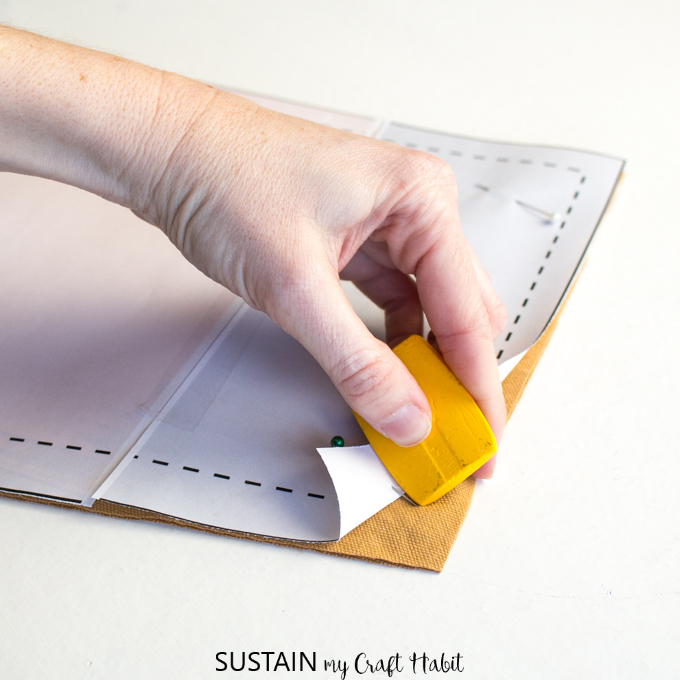 Reinforce the back of the button with a piece of scrap fabric. And lastly, iron all seams and stitched edges. 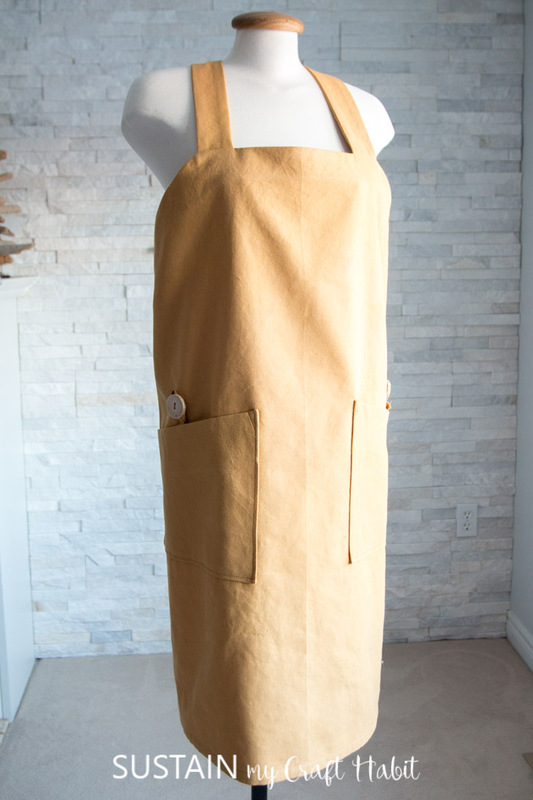 We’re quite happy with how these DIY utility aprons turned out. 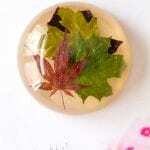 They’ll be perfect for crafting, in the workshop or garden. 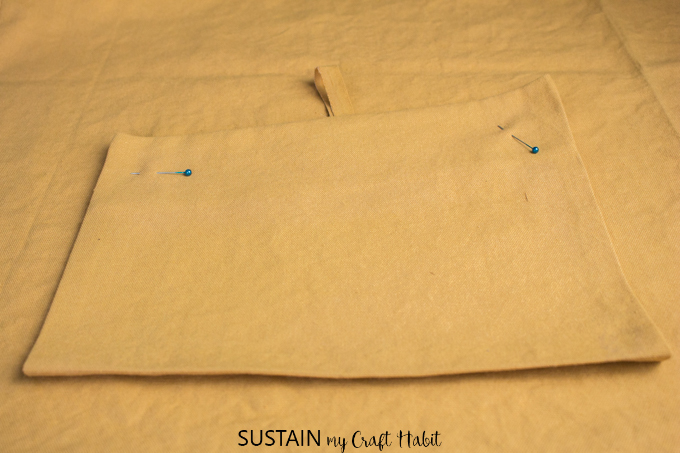 While we went with the wheat and blue cotton canvas, we’d really like to make some in the natural and pewter colors available from Canvas Etc. as well. 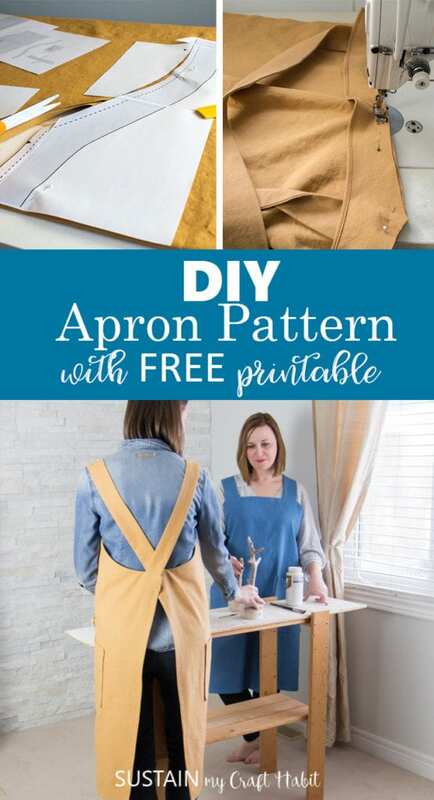 If you’re looking for more of a kitchen-style apron instead, you can refer to this free apron sewing pattern, which I made for my hubby last year.